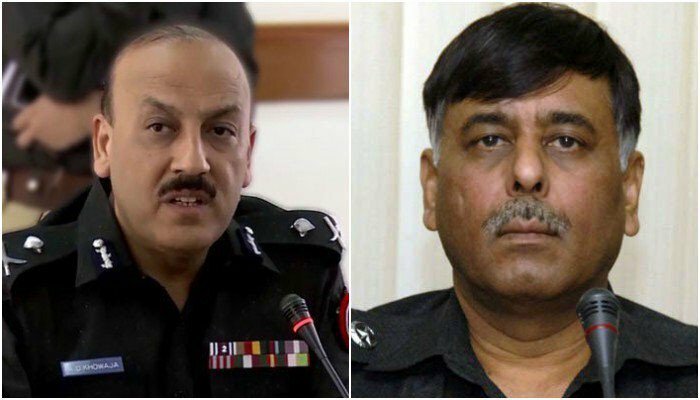 KARACHI: Sindh Chief Minister Murad Ali Shah on Friday asserted that no connection can be drawn between the arrest of former senior superintendent of police (SSP) Malir Rao Anwar and the subsequent replacement of Sindh Inspector General (IG) Allah Dino Khowaja. He further said that everyone has the right to politics, as 2018 is the year of elections, adding that Pakistan Day wasn’t the day the day to talk about the Anwar-Khowaja issue. Sindh Governor Muhammad Zubair, said on the occasion that Pakistan Day is the day we vow to continue Jinnah’s vision and mission. The Pakistan Resolution Day celebrations kicked off with a military parade that was held at Shakarparian in Islamabad to mark the day. The day dawned with a 31-gun salute in Islamabad while provincial capitals welcomed the day with 21-gun salutes. Special prayers were offered in mosques after Fajr prayers for the progress, prosperity, and solidarity of the country and national flag was hoisted at all major government buildings. Change of guard ceremonies were held at the mausoleums of Quaid-e-Azam Mohammad Ali Jinnah in Karachi and Dr Allama Iqbal in Lahore. Elaborate security arrangements have been made to ensure security on the Pakistan Day, according to Amin Vaince, the City Chief Police Officer (CCPO). Besides district police, the special branch, Elite Force, and the Dolphin Force personnel would also perform their security duties on the Pakistan Day. Police officials have been deployed at all entry and exit points of the city, he said, adding that the city has been divided into various sectors that were being covered by setting up a number of check posts.